I walked into my classroom almost three years ago and immediately wanted to walk back out!! I HATED it! Our school was a high school in the past and was converted into a middle school, so our school is old. The layout is weird, there are random knobs everywhere, and I have no windows. It was dark. It was dreary. I knew I had to do a lot of work to add some life to this classroom! 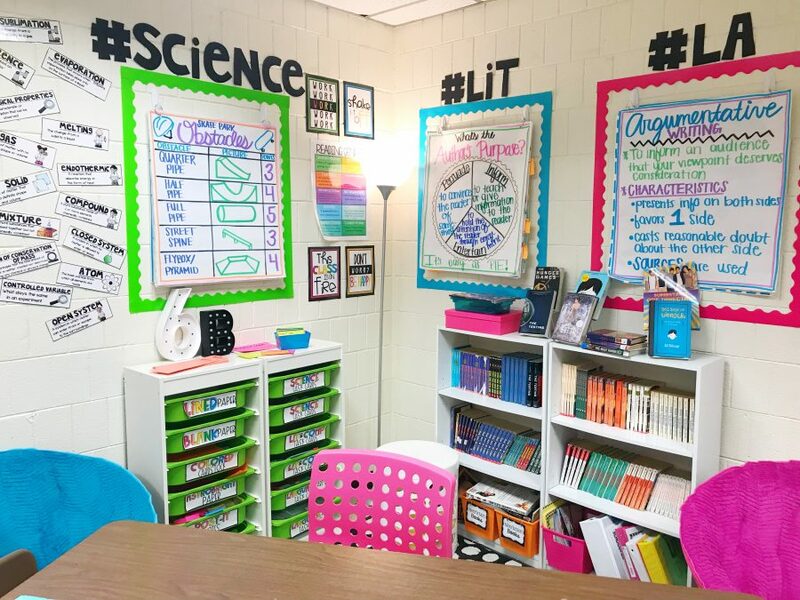 This is nowhere near what my room looked like during my first year of teaching. 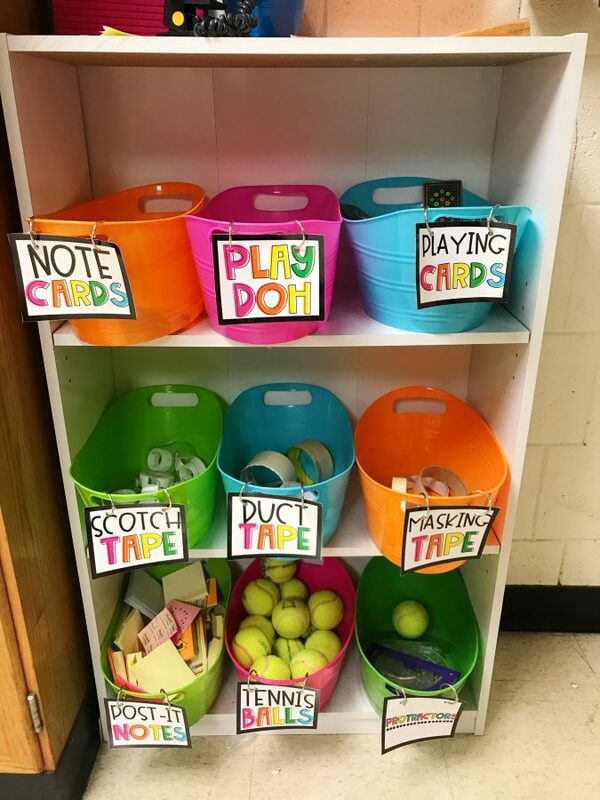 You add items as you go and your classroom truly does become your second home! This is the view from the back of the room. My room is a traditional science lab! Sixth grade is the entry grade for our school. This is the first time that students are in a real science lab. They think it is awesome! I have seven lab tables surrounding the outside of my classroom. The lab tables all have a sink with two faucets. (Yes, that’s 14 sinks. No, it’s not amazing like you are thinking! Half of them are broken and the students treat them like garbage cans!) The lab tables also have knobs that used to be connected to gas and air. Since we don’t use those items in middle school science, they are not attached to anything and do not work. In the center of my room I have 8 groups of desks totaling to 30 desks. In an ideal world, I would have tables but you work with what you’ve got! There are also a ton of drawers and cabinets at every lab table, which come in handy for all of the projects we do! A lot of times, each group gets their own drawer to store their materials in. At the front of my room I have a large lab table that is attached to my desk. The large table at the front is great for demonstrations. I can have the students come and surround the table as I complete an activity. It also serves as a landing area for materials they need for labs. On the front of the desk I have a sign that says, “Work Hard & Be Kind,” in elements. You can find that here in my TpT store! I have two small white boards that surround my SmartBoard. The white board on the right contains the assignments for each class. 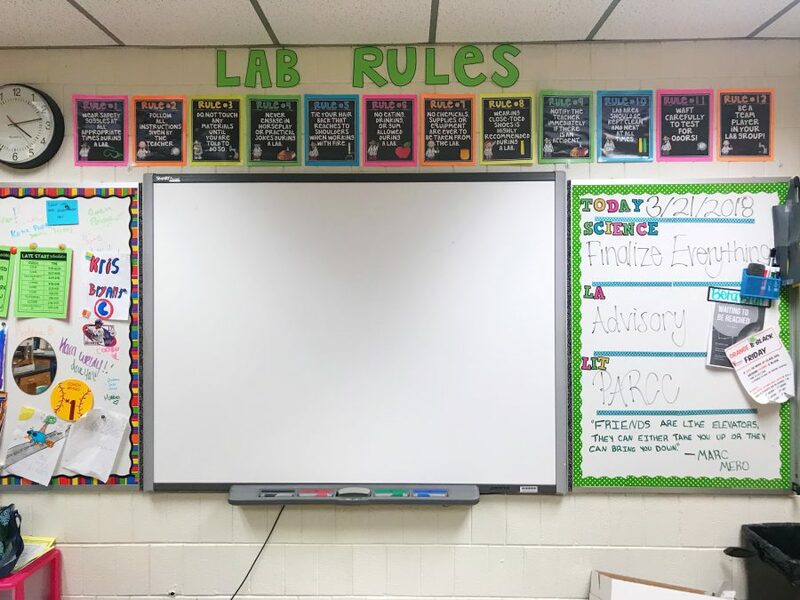 Above the SmartBoard are the Lab Rules Posters which you can find here. 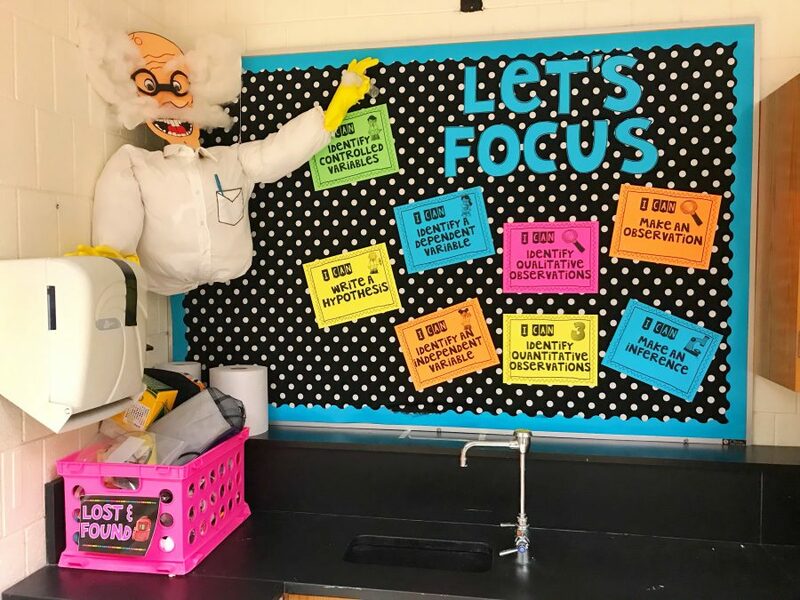 The focus board contains the science standards that we are currently working on. The polka-dot background is fabric from WALMART. The letters are in the font MTF Jumpin’ Jack from here. Einstein is a funny story. My mom was a 6th grade science teacher (and in fact MY sixth grade science teacher). She saw this picture and created him for her classroom. 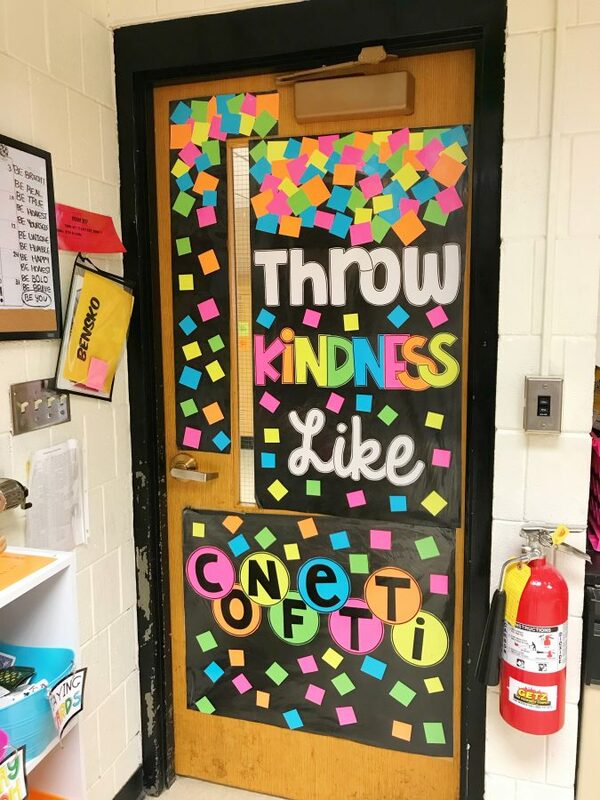 He was in her classroom for a couple of years. My mom retired from teaching as I was graduating from college, so Einstein got passed down to my classroom! The kids love him and think he is hilarious! Can you tell what my favorite team is??? 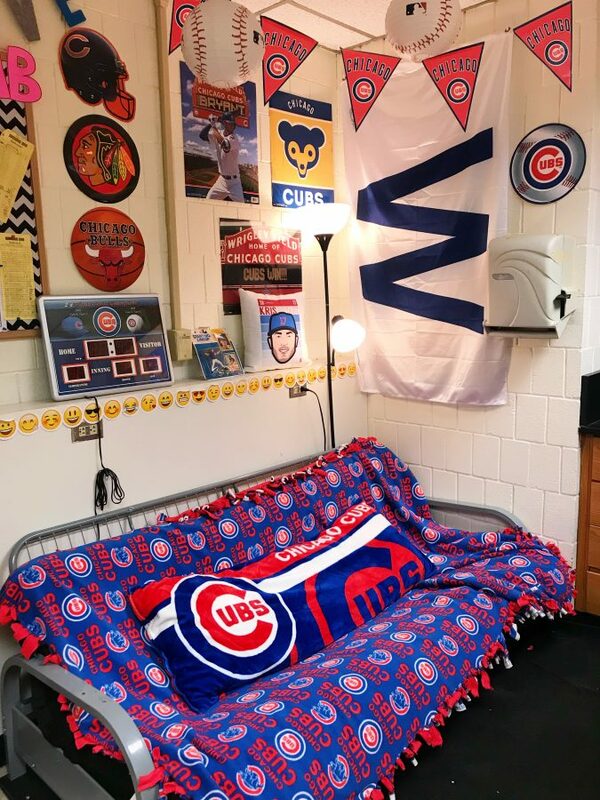 #gocubsgo This is my “sports corner!” The rest of my room is very bright and “girly.” I wanted to have an area where the boys felt comfortable too. The futon was actually given to me by my former co-worker and friend. She moved out of state and didn’t want to take it with her, so she offered it up to me…FOR FREE! The futon is constantly being fought over by my students so I have a check-off sheet for my study hall class of “whose turn it is to sit on the futon.” Who would have thought I would need that in middle school?! Lamp is from Target. The three Cubs posters are actually from the Scholastic Book Fair! The rest of the sports signs and lanterns are from Party City. I frequently get asked about my anchor charts. I teach three subjects, so I have a lot of anchor charts! I sectioned each subject off with colored border. I then have two command hooks per subject. Every time I make a new anchor chart, I punch two holes in them & put them on two binder rings to hang on the command hooks. So easy! These have been up since my first year of teaching & the command hooks have not fallen off yet! The pink chair with circles is here from IKEA. The two circle chairs are from Gordmon’s. The two white book shelves on the right are from Target and hold sets of lit circle books. The two shelving units with green drawers are the Trofast shelves from IKEA. I don’t have a lot of wall space with all of the cabinets in my room. 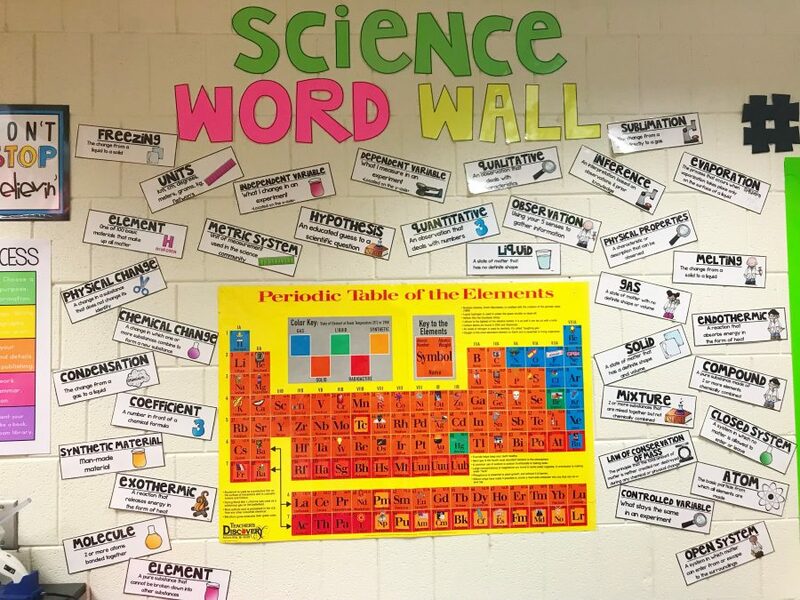 I do save a space for my Science Word Wall. Every time we learn a new word, I put it up on the word wall. You can find an editable version of this word wall on my TpT here. I am very thankful for the amount of storage in my room! 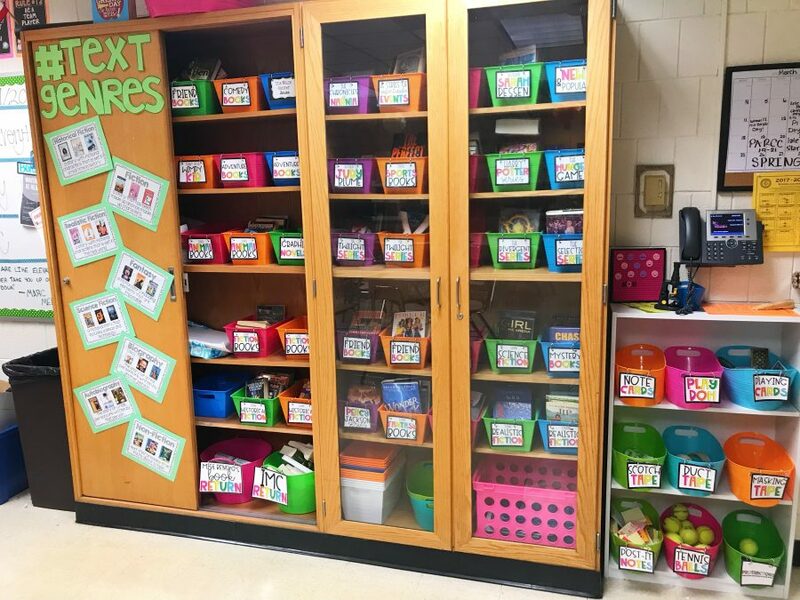 These built-in book shelves are amazing and hold my classroom library! All of the bins you see in my room are from The Dollar Tree! They have them all year round in different colors. 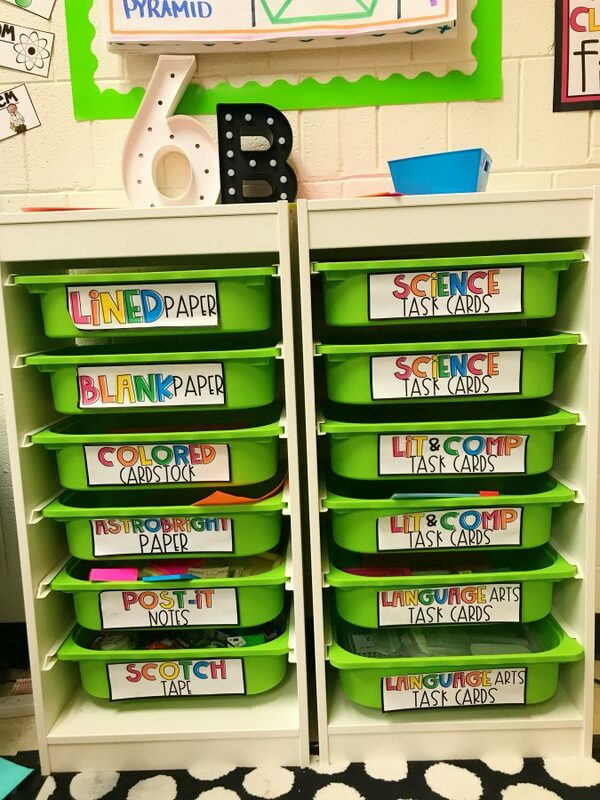 I am working on putting my book bin labels you see here on TpT soon!! I am an organized FREAK! I have a label for everything. Being a science teacher, I have tons of random materials we use! The “Days of the Week” bins are available for free here. I use these to store all of my copies for the week! 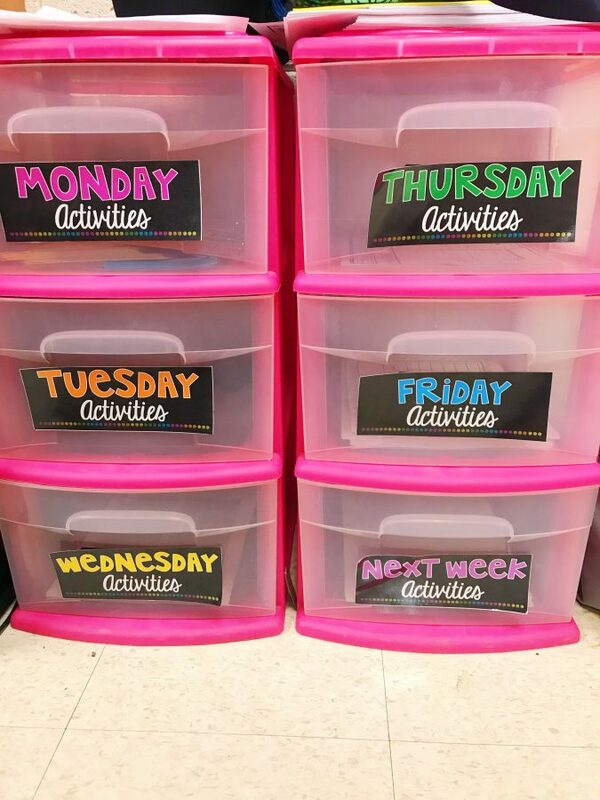 Having 100+ students, I need these large bins from Walmart! 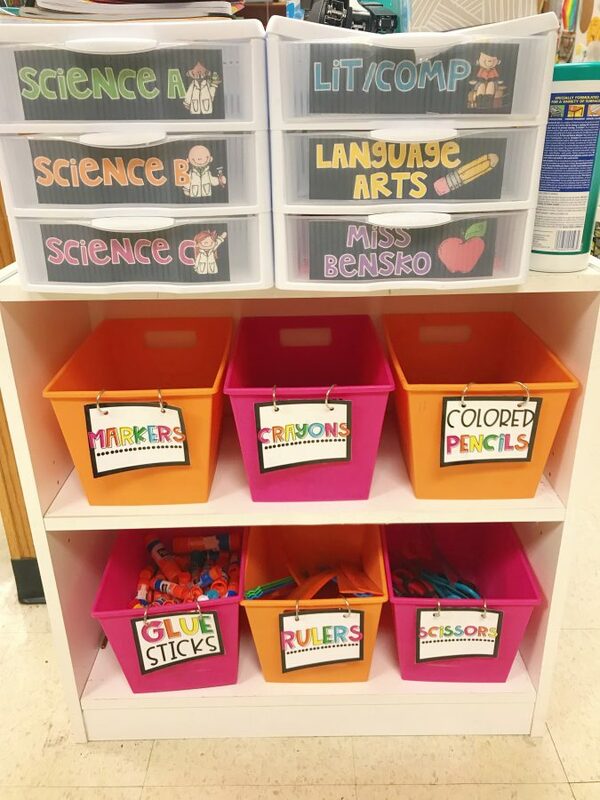 My supply labels aren’t currently on Teachers Pay Teachers, but I am working on them! 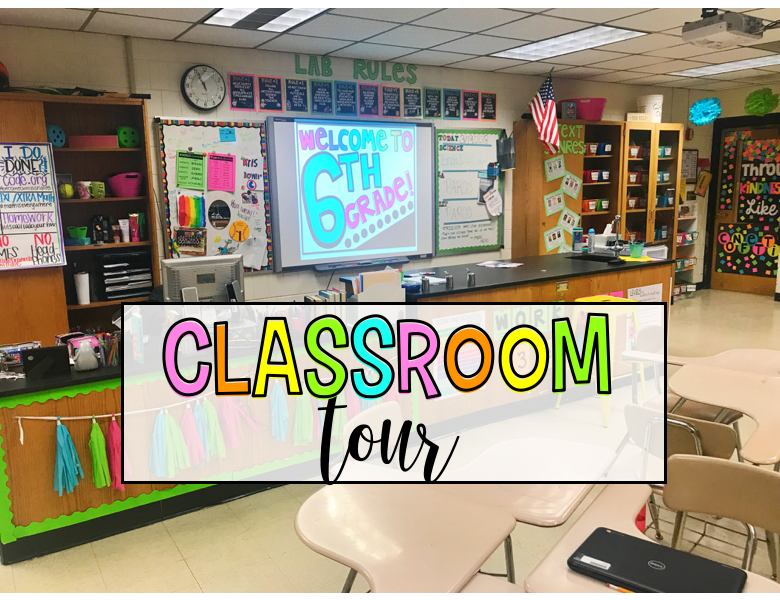 I hope you enjoyed my Classroom Tour! 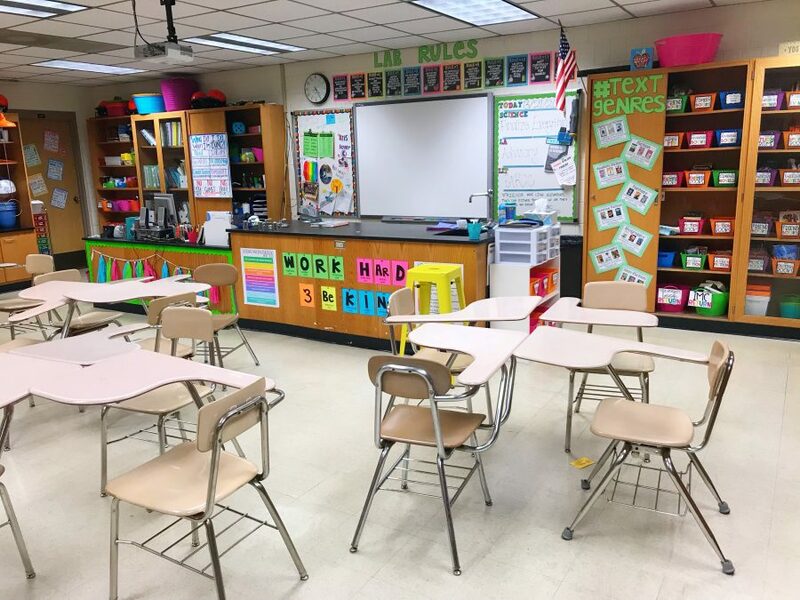 Remember: my room DID NOT look like this my first year of teaching. I gradually buy items every year to add. 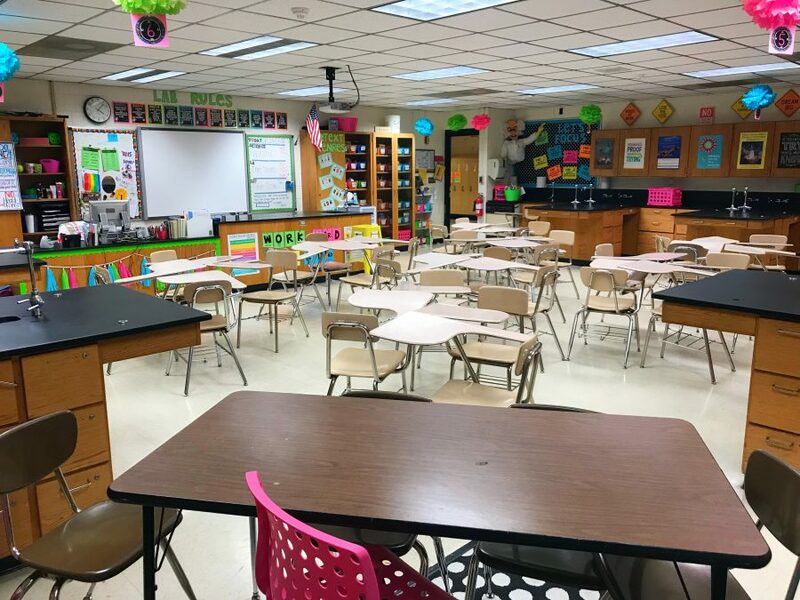 Your classroom will eventually morph into “you,” and your students really make your classroom home. I love all of this! How do you make all your letters? 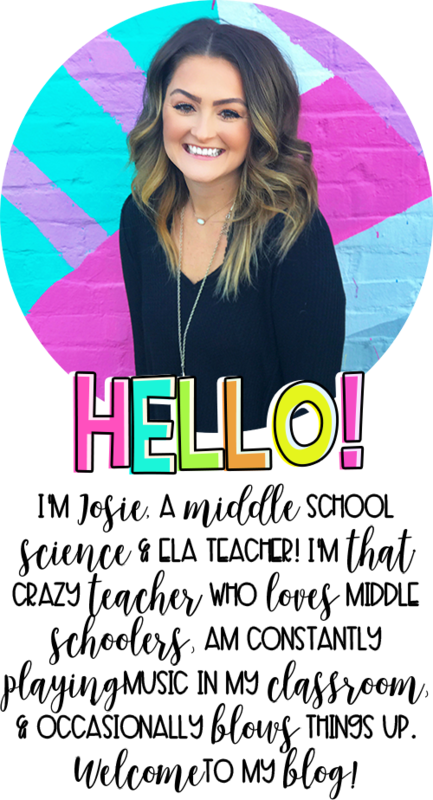 Do you use a specific font and print and cut? Love it! Thank you!! I use the font MTF Jumpin’ Jack. I then make each letter one full page. I make the letter have no fill & then outline them in black! I will do a post soon on more details! The main font that I use for the letters on my wall is MTF Jumpin’ Jack! For a lot of my Teachers Pay Teachers products, I use Amy Groesbeck fonts. You can purchase them on Teachers Pay Teachers. My favorites are AGOnFleek and AGBossLady! What font did you use for your signature at the bottom?! Love it!